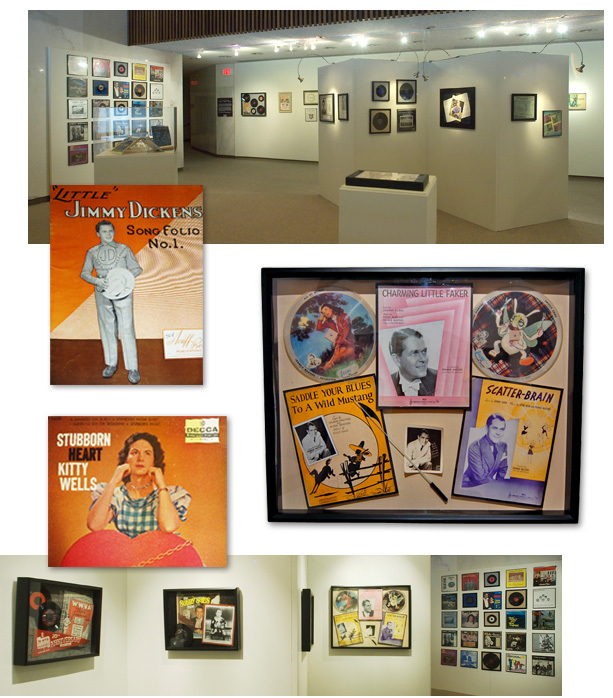 The WV Music HoF’s hanging exhibit “The Art of WV Music,” now includes nearly 100 items ranging from an Edison cylinder of one of Maceo Pinkard’s compositions and George Crumb manuscripts to Sen. Byrd’s prized fiddle and Red Sovine’s 1948 Gibson J200 and Little Jimmy Dickens’s “Nudie” suit. Musicians as diverse as psychobilly pioneer Hasil Adkins, old time banjo master Aunt Jennie Wilson, and opera singer Eleanor Steber are represented with stage clothes, LPs, 78s, posters, photographs and paintings. The exhibit has been installed in Charleston, Parkersburg, Lewisburg, Petersburg, Berkeley Springs, Morgantown, Wheeling, Princeton and at the Augusta Heritage Festival in Elkins, among other locations. At each opening, the HoF provides staff or scholars to meet the public and discuss the collection as well as the HoF’s various projects. 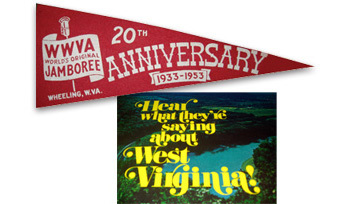 “The Art of WV Music” was created with funds and support from the West Virginia Humanities Council. If you are interested in contributing items to the HoF’s collection, please call us at 304/342-4412 or email mlipton@gmail.com.